Freebitco.in is owned by Interglobal Limited since 10 oct 2013 which is located in Suite 102,Ground Floor,Blake Building,CornerEyre & Houston Str,City: Belize City,State/Province: Belize,Country: BZ. Contact information provided by domain whois Phone:+223.2839 | E-mail:support@freebitco.in. There are no past scam record found against freebitco.in admin. 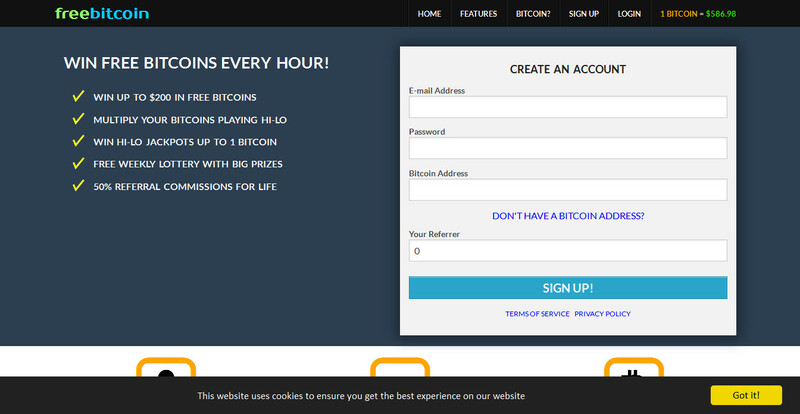 This site provides free bitcoin to registered users of it. All they needs to fill a captcha and tap Roll button. It serves very little amount of bitcoin in general but also there are always a chance to win big amount up to $200. 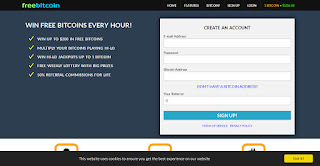 Along with Rolling number game this site has multiplying options where user’s can multiply there earned bitcoins. Though Multiplying option has risk of losing all bitcoins. This site has a great referral system where users will get 50% of their referral earnings and also 0.25% of their referral wager in multiplying games. This site declare 10 users as lottery winner every week at Sunday, where 1st prize can be up to 3bitcoin. Prize amounts may vary because it depends on total wager of users a week. An user can instantly cashout his all earnings or site will automatically pay him every week if it reach it’s threshold.